The Vinyl Frontier, hosted at Norden Farm, is due to return on Friday 17th January at 8pm. Tickets for the innovative music night, which plays classic albums in full and on vinyl, are £7. 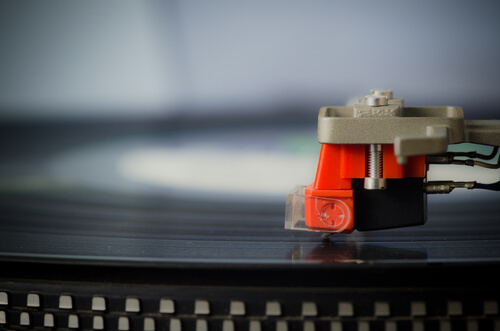 Not only is this event a chance to appreciate classic albums in their entirety, but guests will also be able to enjoy facts, trivia and discussions about the music with vinyl enthusiast Jeff Lloyd. Originally released in 1979 and listed in Rolling Stones 500 Greatest Albums of All Time, this years album of choice is London Calling by The Clash. The bands third album was influenced by a number of different musical genres, including ska, pop, funk, jazz and soul among many others. The album touches upon a number of different themes as well, such as unemployment, societal segregation and displacement, and the struggles of adulthood. The album has sold over five million copies worldwide. The Clash will begin a whole new season for The Vinyl Frontier, which will include an evening devoted to other acts such as The Beatles and Bob Marley. The Norden Farm Centre for the Arts is situated along Altwood Road in Maidenhead, Berkshire, SL6 4PF.